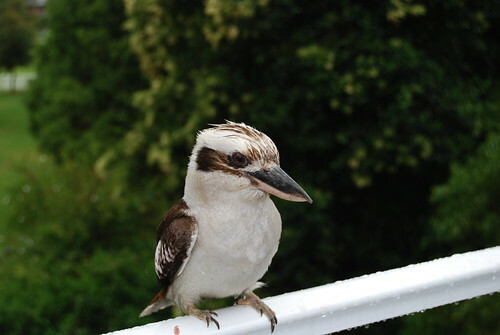 In the past few days, sometimes when I wander along the back verandah on my way to the laundry, this guy has arrives. Pretty soon he's joined by his wife. Their baby is in the tree crying with the 'kakaka' noises which mean I'm hungry mum. They sit there, eyeballing me in the kitchen. Sometimes they even have worms in their mouths - so I know they can get their own food if they want to. Against what I know is the right thing to do, I take them a morsel of mince or a smidge of sausage. They take it right from my hand, and swoop back into the tree to feed their baby. Then they swoop back again for more. But the baby always comes first. 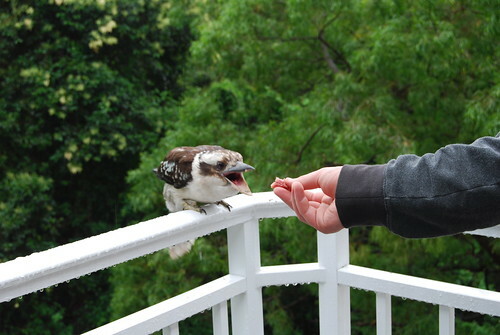 right or wrong, kookaburras are the best and worth encouraging. and someones already been feeding them if they come that close. great photos! I sometimes have similar friends visit my backyard. Never close enough to feed them, although one watched me hng out a load of washing once, from the top of the clothesline. 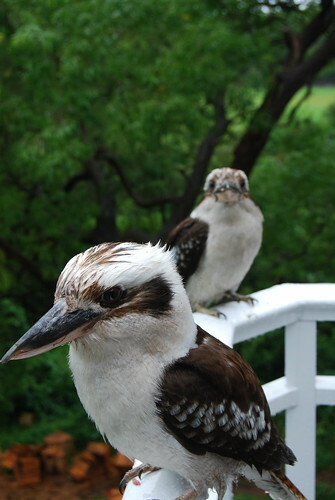 Love lovely kookaburras! 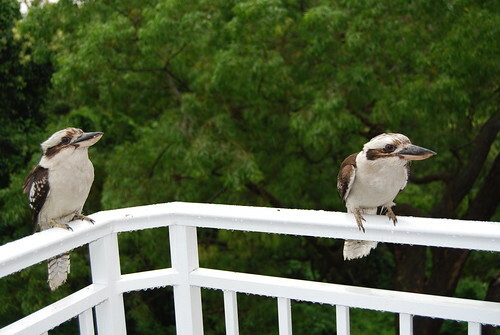 What I wouldn't give to have a kookaburra couple visit me! What a handsome pair!